This post is for everybody who is heartbroken– over the news, over the strife in this country and around the world, or over personal sorrows, or sheer exhaustion and despair not directly related to the chaotic world outside the doorstep. My wish for you, and for all of us, is that we take a few moments to find a still, silent place to breathe deeply and realize that even the air we take in, and the ability to breathe unaided by machinery, is a gift we did not earn. I wish you gratitude and sanity and calm, a peace that passes understanding. I can tell you this sort of peace is possible, even for one who lacks that breath, one who is dying and knows it. It must be possible for us, too. May it happen for us. *no, the poet is not me or anybody you know from this blog. If you want to know why the name is withheld, read the last bullet point here. I’m so excited to see you here and now I see I’m late to arrive after all. I’m just up for a little bit. Couldn’t sleep and thought I’d mosie around. Hey there K, it’s great to see you here! As you can tell, I’m not back very often, but hopefully that will get easier over time. Hope you are doing well. Today is a day that I needed to read this. Thank you for sharing it, and for sharing the photo – clouds with a golden lining. Susan, you’re welcome. We need some silver linings right now. God Bless You Julia, thank you for this timely message. I love all the beautiful and appropriate photos that always accompany your words. Thank you so much, Mary. I am glad you like the blog and I am so happy you joined us here in the comment section. Thanks for this post. I have been so upset and disheartened by the current turmoil in our country. Your blog provides a spot of sanity in the midst of the insanity. Ann, it’s all terribly upsetting and I have to focus on other things as much as I can. I really can’t afford any more sorrow right now. Thanks for being here. Julia, I am in one of those solitary places. Please lift me up in your prayers, dear sister. Love and Light! WOW! How appropriate for our times! Such sadness going on, people believing there “position” is the only correct view, stomping all over each other with hate & abuse. We know this hurts our Creator, as He wants us to be kind, loving, friendly, patient, hospitable, joyful, peaceful, good, gentle, forgiving, humble & practice self-control! What a wonderful way to view life! Thank you for this beautiful poem to ponder & remember to be a better example. Much love & prayers for “my” Dentons! P.S. I sent a photo of Aaric’s Monterey sunset to your cell phone, if I have the correct #. Hi Mary Ann, I didn’t get the text of the photo, but I did get it through email – it is BEAUTIFUL! Bravo Aaric. He has his grandmother’s eye for beauty. 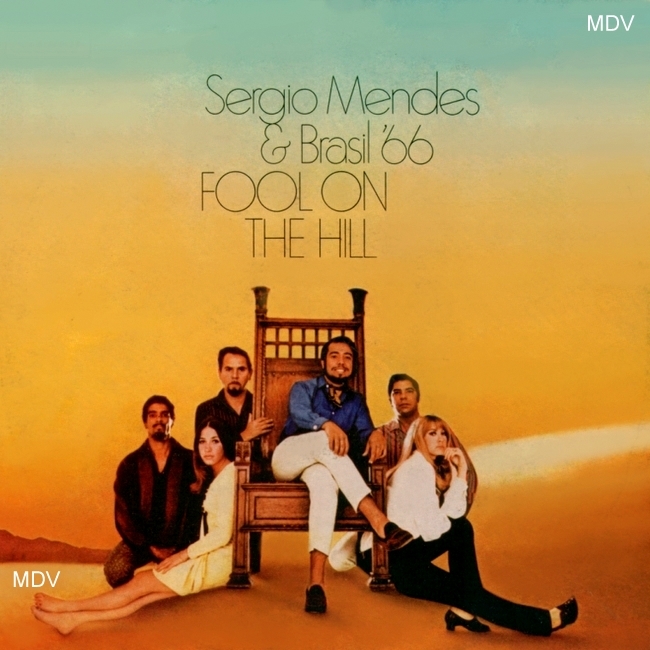 Raynard, I was so happy to read that someone remembers Sergio Mendes and Brasil 77, and then I realized that who I remember is Sergio Mendes and Brasil ’66. My Daddy had that album because he loved their version of “The Fool on the Hill.” Interesting trivia fact: The Beatles did not record that song until 1967, and Brasil ’66 covered it in 1968, so the must have only re-named their band every 11 years, hee-hee. Seriously, thanks a lot for your kind words about the blog. I think you know I have received much more than I have given. Why does that sentence suddenly make me think of Kung Fu? I digress…Hope really is a great thing, and on that note, I hope you and Mary have a great week! Amen, Julia. You voice many truths, that both affect the masses and the personal. It’s easy to forget that, isn’t it? Until something happens to jerk us back to reality. Let’s just hope and pray for an outbreak of sanity that will spread like wildfire. Thanks for being here! Yes, Julia. We can hope. Possibly that outbreak of humanity will be the result of a Divine invasion. As when Paul made amends for Saul. I love that musical, Julia! The difference between today’s Congress and the original Continental Congress…PARTIOTISM! Amen! That’s still true figuratively, if not literally (as it was in his day). Dorothy, thanks so much for checking in here. I appreciate your kind words about the blog and I certainly missed all of you. Your description of your springtime blooms was most refreshing on this hot, humid, wilting afternoon in late summer. Do you get much snow? Somehow I don’t imagine it snowing very much in your part of the world. WOW, you certainly do have an international family. Next time I am feeling sorry for myself with my Grandsons three states away, I will think of you and your loved ones who are half a world away. I know you’ll be glad when at least some of them return home again. I am so happy you are HERE with us! My dear, dear friend Andrew L. who spent twenty years on “death row” in the Georgia prisons told me you could hear it ringing out at night and echoing in the hollows of the prison chambers, “Keep Hope Alive, Keep Hope Alive”. It is absolutely true that “Hope Springs eternal in the human breast”. Thank you, Harry. If a death row inmate can keep hope alive, we should be able to do it too! I can’t imagine any place that would feel more hopeless. Sometimes I imagine hope as a dying ember that just needs a breath every now and then to keep it from going out. Then with the right fuel, it may come back to life. I can’t remember if I commented on this earlier this week but it spoke to me again today. The anger and hatred that’s filling the airwaves and the internet are wearing me down. Julia, thank you again for providing a safe harbor. Ann, you’re welcome. I have found great solace in reading the wisdom of others who have survived much worse. You know, the sort of stuff that didn’t get published unless it was good enough to pass through many editors and review boards. As much as I love the idea of free access to the internet, so much of it is unfiltered garbage, and hundreds of TV channels competing for attention haven’t helped matters. I’m staying as clear as possible of all the endless replays of upsetting images and words. I appreciate you being here in our little “safe harbor” which, as long as I have any control over what appears here, will remain a safe, caring and hate-free zone.